The Eagles visited Oldham Sixth Form College Sunday to face Manchester Giants. The game started evenly with the score 10-9 in favour of the home side after 5 minutes with Eagles captain Jerrard scoring 7 of Newcastle’s first 9 points. However, after a short stoppage due to a pair of minor injuries one for Eagles forward Sheeran and one for Leperrier and some substitutions the quarter ran away from the visiting Eagles, with the quarter finishing 22-10. The second quarter started with the Eagles on a run as they shortened the deficit to seven points with 6 minutes gone as the scores read 26 – 19 with four minutes remaining in the third: however, the Giants then met it with a run of their own authored by guard Greenwood to finish the half up 12 with the scoreboard showing 36 – 24 in the Giants favour. Out of the halftime break the Eagles and Giants went back and forth with their scoring with the Eagles winning out by three in the quarter behind some great defensive play by guard Lewis as he heaped pressure on the opposing guards. The quarter also featured some spread scoring with 7 different Eagles providing points as the Eagles pulled within 9 going in to the final quarter. The final quarter saw the Eagles come out on a tear with a 7-0 run in the first 70 seconds of the quarter to get back within 2 points of the hosts. Following a time-out Giants forward Archer then went on a solo 7-0 run by going hard to the offensive boards. However, the Eagles once again re-grouped following a time-out of their own and lived in the chaos their defensive pressure created as they stored to a 12-2 run putting the Eagles up 60-59 with just 3 minutes remaining. Following a time-out from the Giants they snatched the lead back on a corner three from guard Greenwood, the Eagles then seemed to tighten up and force shots on multiple possessions by firing away from deep and taking heavily contested shots from outside the key as Manchester continued to execute on their way to an 8-point win for the hosts. Top scorers for the Eagles were Jerrard with 21 he was supported by Jones’s 10; while Leperrier and Sloan both added 7 a piece. 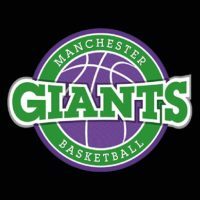 The Giants were led by Greenwood with 20 Archer’s 17, Archer and Pennellsfollowed with 17 and 12 points respectively. The Eagles Academy 16’s next match-up sees the youngsters take on Bradford Dragons at home on January 5th.